If you’re like us, your Ram pickup truck is more than just a truck, it’s your own personal workhorse. Loading and unloading all that cargo isn’t just hard work, it’s hard on your truck. A DualLiner bed liner protects your Dodge Ram for life. Our innovative component bed liner features durable, custom-fit polyethylene sidewalls and a thick, cushioned rubber bed mat that’s easy on your knees—and even easier to install. With ZeroSkid® technology to keep your cargo from sliding around your Ram’s bed, the DualLiner bed liner allows you to work smarter — not harder. 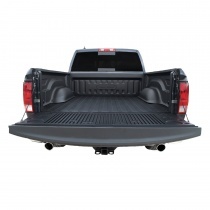 DualLiner produces the overall top quality Dodge Ram bed liner in the industry. Our Dodge bed liners are custom fit to match your Ram perfectly, whether you have a Ram 1500 or Ram 2500, and with any bed length. With DualLiner’s ZeroSkid® rubber floor bed mat, the cargo in your Dodge Ram will be safer than it has ever been before, and there will be no risk of damage to the cargo, or your truck. The DualLiner Dodge bed liner will also stand the test of time, not like a spray-in bed liner, which is why we are happy to provide a real lifetime warranty. 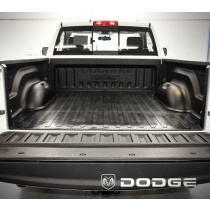 DualLiner has also designed our Dodge bed liners to be incredibly simple to install. There’s no need to go to a dealer, pay a hefty install fee, and wait for hours, or even days. With DualLiner’s Dodge bed liner, you can do the install yourself with just some basic tools and a fraction of the time it takes for a spray in bed liner. Say “no!" to rust! No need to grind down your factory paint.